What is a spin bike? 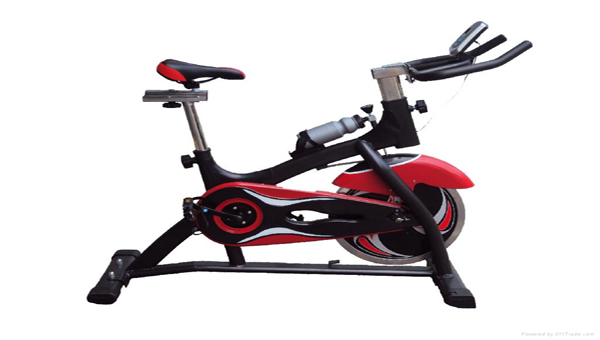 A spin bike is a special stationary bike that is specifically designed for spin class. The bikes can be adjusted to fit any participant by changing the saddle height and handlebar position. Normally the bikes have built-in heart rate monitors in the handlebars and weighted metal wheels that can simulate the effect of climbing a hill on a bike by decreasing the inertia of each pedal stroke. Users can control the difficulty of their workout with an onboard computer that controls the metal flywheel, or they can have the computer adjust automatically to a chosen heart rate level of activity. These bikes are usually only found in gyms that have spinning classes available to the members. Adam is an athlete with a serious passion for fitness and health. He played basketball at University of Delaware and Stetson. His degree is in health science and he's a certified personal trainer who loves helping people reach their goals.